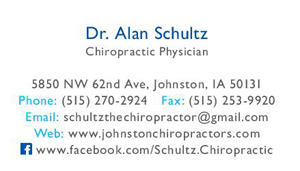 Chiropractic Claims Reviewer for Principal Financial for 14 years, reviewing over 1,500 cases for Principal. Independent Medical Examinations for various car insurance carriers for 15 years. Facility: Free standing building, 4,000 square feet with lots of technology and added areas of comfort for patients. Married to Shelly. 3 children, all raised in Johnston and attended Johnston schools. 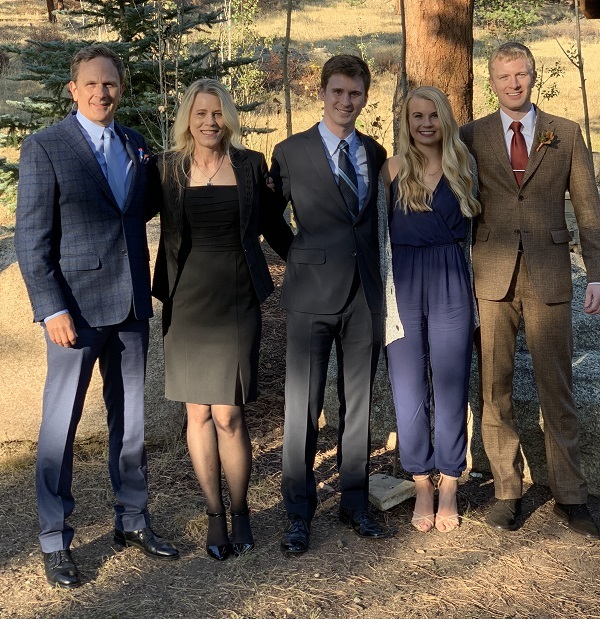 Dr. Schultz and his wife Shelly are mountain bike riders and ride approximately 1,200 miles per year. They also engage in running and walking the Johnston the Des Moines Trail System, usually 30 Miles per week. 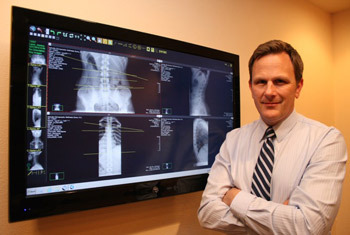 Both encourage a lifestyle of Chiropractic care to improve body biomechanics and nervous system function; movement and cardio activity; stretching and weight training; natural supplements and acupuncture; along with diets that are low in inflammatory foods (sugar and grains) and high in anti-inflammatory foods. Dr. Schultz and Shelly have been working with patients for over 30 years, helping them find better health through natural methods. Thank you very much for visiting our site. I know that choosing a chiropractor is a very personal decision. 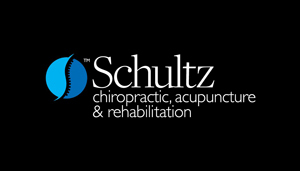 Please give me a call at Schultz Chiropractic & Acupuncture or email us using our link below so that we can arrange a productive and healthier future for you starting today.